The mods consist of UI enhancements to the toolbar, side panel, albums, folder tabs (a new feature), folder search, asset previews, keyboard shortcuts, context menus, drag and drop and filter sort. More details are on the blog article written by Anna Cotton. There are a number of points to note about this release. Firstly, it’s entirely UI-oriented, I note that a few years back, they issued a slightly tongue-in-cheek release informing everyone that there were no new features. I guess that joke stops being very funny if you try and use it more than once and they might argue they have actually got one or two new features this time, but I can’t help but be distinctly underwhelmed by what is on offer here. The fact that some serious minutiae is covered in the functionality descriptions suggests we’re well into the ‘gilding the lily’ phase for many DAM solutions (and this applies to all their peers in this market as much as it does to them). The source of inspiration for the functionality seems to be web browsers and operating systems, see the ‘folder tabs’, ‘context menus’ and ‘filter sort’ for examples. Essentially, it reads a lot like they are in the process of building a system that replicates a number of features found in your Mac or Windows OS (or browser in the case of the tabs). History repeating itself is a commonly observed phenomena in the IT/software market (where very little has not been done before) but this appears to be going full circle back to the period when web-based DAM software tried to replicate desktop apps because there was a perception at the time that they were superior or ‘serious DAM’. I don’t think that is the motivation this time, it is a more straightforward issue: they just can’t think of much else to do. I am not sure where the inspiration for these new features has come from. This reads quite a lot like it’s the systems/technical personnel who have sought to copy the UI from their tools they work with on a daily basis (tabs, context menus, sorting etc) into the product. I get the ‘strive for simplicity’ (and I wouldn’t disagree with it) but this seems to be symptomatic of the CXM cul-de-sac I have mentioned before. I can appreciate the benefit of these features and necessity for them, but I question why that is all there is in this ‘major release’ (their own words). This is not a point release, but it certainly reads like one. My suspicion is that the source of the malaise which we’re in with DAM apps now is excessive focus on the needs of marketing. Because the end users are usually not information/data management professionals and they are more interested in branding and communications, they can’t give vendors a great deal of practical guidance to enable them the to develop better tools for optimising how they manage metadata (and by proxy, digital assets). The result is that everyone stares at each other blankly and hopes the other party is going to be the first to come up with a fresh idea that both isn’t a gimmick and is a significant step forward in terms of tangible productivity benefits, rather than UI tweaks. CMSWire published an article by Dom Nicastro recently where he describes a presentation by Meghan Walsh for their DX Summit. I intend to discuss this properly in a separate article, but one point from her presentation which Dom has picked out (and that other people have noted as significant also) is that DAM needs to be addressed at an enterprise level, not for a single use-case. If the focus is just on one department, it becomes an endlessly reducing feedback loop and that may well be why not much is happening in DAM currently. I am currently contemplating some methods by which DAM News can offer some practical guidance about this (for both vendors and end users) it may well form the basis of a series of articles in the near future and I hope to be able to involve some others in addressing this subject, as I am certain it will require the input of more than one individual. excellent observations, thanks – I agree with your assessment of the DAM system landscape. Introducing significant UI changes in a “major release” is good practice, of course. The increased major version number signals to customers that they have to check for compatibility issues, or plan for retraining their employees. 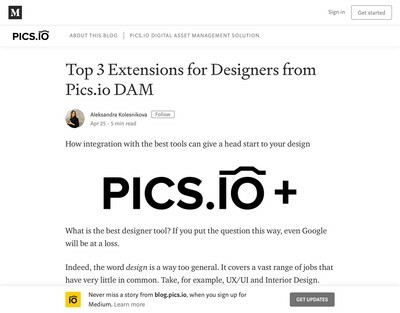 And given the awkward state of DAM UIs just a few years ago, it made sense for vendors to invest in better looks and usability. But I understand, and share, your frustration with the lack of innovation. I hope you bear with us DAM vendors: We’re not just a very slowly-moving bunch, but also always looking for the “quick wins”, of which there aren’t many left. There’s so many fun and promising things to be done, but most of us seem to be afraid of the significant investments required to make a leap forward. I’m going to disagree a bit with obsessive focus on Marketing, or on little gains to be had. 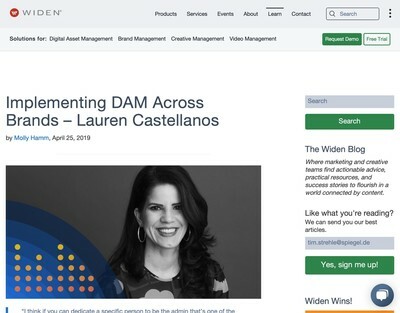 Having been at this going on 17 years I can tell you that time and time again the DAMs out there do *not* meet the needs of a well-rounded and wide-reaching Creative group with a larger user base, much less the larger realities of other aspects of Marketing in a large company. We’re on our third DAM and every time we shop it’s “which one is least bad” not “which one actually comes close to suiting us.” We end-up spending untold funds customizing and essentially adding our own security features via complex workflows or complex off-line process and even customizing the UI and functionality of the off-the-shelf code. Licensing the product is goofy, security is very simplistic, there is almost zero concept of rights-managed assets and working with a well-versed legal department on rights-managed assets, no concept of working with a Regulatory structure (FDA, EPA, etc. ), and more. And if you choose to host yourself it’s obvious these DAM vendors do not understand all the complexities of security, hardware and software management, logging requirements, etc. involved in a large corporation…or any company with a reasonable amount of security and oversight process. I still feel like DAMs are the wild wild West and everyone is *still* shooting from the hip. Instead of fixing the structure, fixing the technical rat’s nest under-the-hood, and actually trying to understand how Marketing functions in all it’s dozens of little sub-complexities, etc. all we’re getting is a useless features race creating slow, glitchy DAMs. Don’t chalk it up to users not articulating their needs properly, chalk it up to DAM vendors being completely indifferent when we complain about bugs and request new features. I don’t ask for fluff features, I spend most of my time trying to get them to fix things under the hood or streamline administration tasks. I want stable, reliable, and useful to novice users. Granted, all this mess keeps *me* gainfully employed; but it really shouldn’t be this complex and disappointing. Kevin, just to make it clear, by ‘marketing’, I’m referring to scenarios where the users treat the DAM product as a marketing exercise, i.e. misunderstandings by some users that what they are doing is a piece of marketing communications. I’ve been in quite a few meetings where there has been copious discussion about animated home page re-designs etc and other aesthetic elements where the functional part (i.e. the productivity benefit) gets relegated to a second-tier discussion and treated as unimportant (‘all that search stuff’). Many DAM vendors (although not all of them) are reactive and run their software operations like design agencies who just happen to also offer a piece of software, so they play to what they believe is the currently perceived in-demand requirement (hence the features race you mention). This tends to be a feature for more recent DAM users from marketing backgrounds. 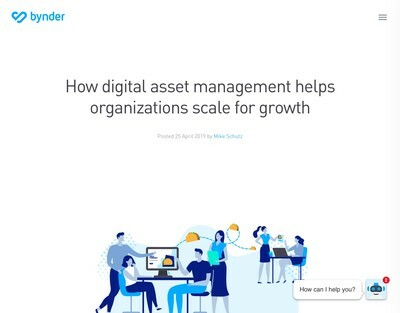 People who have been DAM users for a lot longer (as in your own case) have usually worked out that the kind of window-dressing exercises I’ve just described don’t add very much, essentially because they’re not really Digital Asset Management but communications exercises. I think what you are referring to in your comment is marketing operations, i.e. users who need to get a marketing-related task done and are in need of reliable and stable products to help them, creative productivity tools for want of a better term. 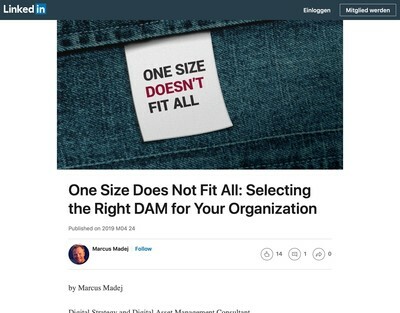 In this sense, I would agree with you, however, I tend to think of this as operations management (which is what DAM is all about, in my opinion). This relates to a given business function and as alluded to in the article (with reference to Meghan Walsh’s presentation) there should be different levels to this, i.e. enterprise and task-specific DAM. Not only would this avoid a huge amount of duplicated cost, but also the opportunity for interoperability and sharing digital assets more easily would also improve. On the novice question, I see a lot of attention directed towards very basic entry-level tasks like how to login and issue single keyword searches for assets, but there is a lot less in relation to the activities that users need to get into when they have to do some serious work using a DAM. As such, I see a lot of flashy colourful videos that explain something most people can figure out themselves these days (especially as most web apps especially work in a similar fashion now). When reviewing existing provisions, you then find users doing things like manually sifting through thousands of results because the advanced search tools either don’t work properly or they can’t figure them out. It’s the same with entering lots of metadata, you still find people either manually entering metadata for thousands of assets because they can’t work out how to use the batch entry capabilities (and costing their employers a massive amount of money in the process) or the other scenario is where they haven’t been trained to selectively apply it and numerous assets get applied with all sorts of stuff that just isn’t relevant. This means their colleagues spend ages looking for relevant assets (and end up costing their employers massive amounts also). These are the type of issues I’m referring to when I talk about excessive focus on novice users, it’s beyond the first hour stage of use. I suspect a lot of vendors (and some of the clients) think only in terms of getting someone to login and download their organisation’s logo. You tend to encounter a lot of shoulder-shrugging from both groups and assertions that they ‘did what they could’, i.e. ‘it’s not our problem’. That isn’t unusual for technology and software especially, but it still doesn’t excuse it. All this really needs to come to an end now though as we’ve left the stage where DAM is some interesting techie gadget that might even be useful someday, especially for the amount of money that is being charged for many of these systems (both up-front and on-going). Tim, fair points on your comment. I did have a brief conversation with someone from Brandworkz and they told me that the UI mods were just the front-end manifestations of the changes made to their app and they had actually re-built it from scratch. In that sense, I appreciate that communicating the depth of the changes made is harder to achieve and there is probably more to it than the press might suggest. With that said, there seems to be a lot of ‘re-factoring’ of DAM apps going on (in programmer’s parlance) and it seems to be happening across the whole industry – and has been for some years now. In view of some of Kevin’s comments, that might be necessary, but I am also wondering how many firms have much of an idea of where to go from here in terms of product roadmaps (all vendors have the basis of one, even if they don’t like to formalise them and open them up for scrutiny). I’m going to write up a post about the other idea referred to at the end of this piece and we’ll see what kind of participation we get from users.